It’s often said that a picture is worth a thousand words. That is certainly true with respect to the massive migrant caravan from Central America that has arrived in Tijuana. 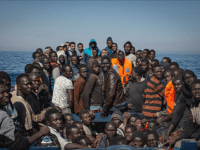 A newly released charter for Italian journalists has demanded that writers stop using the term “clandestine migrant” and use terms like “irregular migrant” instead. 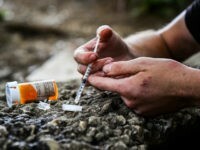 The simple truth of the opioid crisis is that prescription drugs have been blamed for a deadly crisis that is far more attributable to street drugs smuggled across the porous U.S. border. 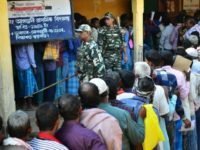 The registrar general of India announced on Monday that some four million people have been removed from citizenship rolls in the northeastern state of Assam, which borders Bangladesh. 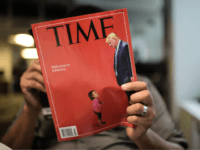 Driven by impotent rage, political extremism, and their own frustration at President Trump’s ongoing foreign and domestic successes, the establishment media had its worse week in years last week surrounding their now-debunked border separation hoax. 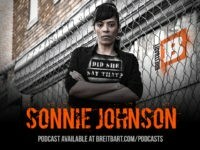 On this week’s edition of Did She Say That, Sonnie Johnson doesn’t want to hear about parents being separated from their children on the border, when progressive policies and institutions like Child Protective Services took her out of the only home she knew as a child. Wolverhampton council is set to give welfare handouts to migrants that are not eligible to claim benefits, including illegals and failed asylum seekers. 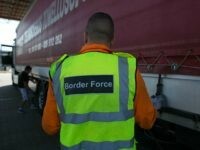 LONDON (AP) — Authorities in Britain, Belgium and Bulgaria arrested some 25 people early Thursday in overnight raids targeting smugglers who allegedly helped people immigrate illegally. 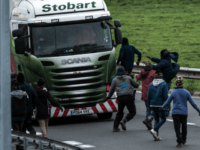 Representatives of British lorry drivers have called for the army to be sent to Calais to protect vehicles if attacks and attempted hijackings by migrants do not subside. Nearly 30 years after their initial installation, the iconic “running immigrant” yellow signs that once dotted California’s freeways near the southern border have been disappearing over the past several years. Now there’s just one left. 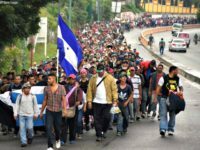 No mouthpiece in Washington is a more reliable one for crazy leftists in the Democrat Party than the Washington Post, which is out with yet another head-scratcher on illegal immigration. 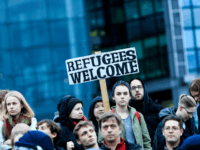 More than 45 per cent of young Tunisians want to migrate illegally to Europe according to a new study, and an estimated 35,000 have already done so in the last few years. (AP) — “I think there’s a lot of blame to go around and spread around for decades,” said Mark Krikorian, executive director for the conservative Center For Immigration Studies. “There isn’t one person responsible.” Instead, he said, the problem lies in how the Immigration Control and Reform Act of 1986 was implemented. 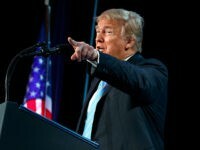 He described the passage of the bill as something of a “con-job” that allowed millions of immigrants in the country illegally to have legal status with a promise of workplace enforcement and other measures to curb future illegal immigration. But that didn’t happen, he said. And there was little incentive to follow through on promises of strict workplace enforcement, he said, once millions of people were legalized. 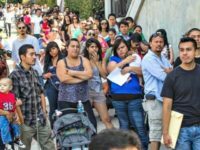 In most states, families including illegal aliens can receive more taxpayer-funded benefits, because many states will ignore an ineligible alien’s income when calculating, or prorating, the family’s total income. An illegal alien’s earnings won’t count towards the income cap, allowing “mixed” families to potentially collect more benefits than they would if they were all U.S. citizens.